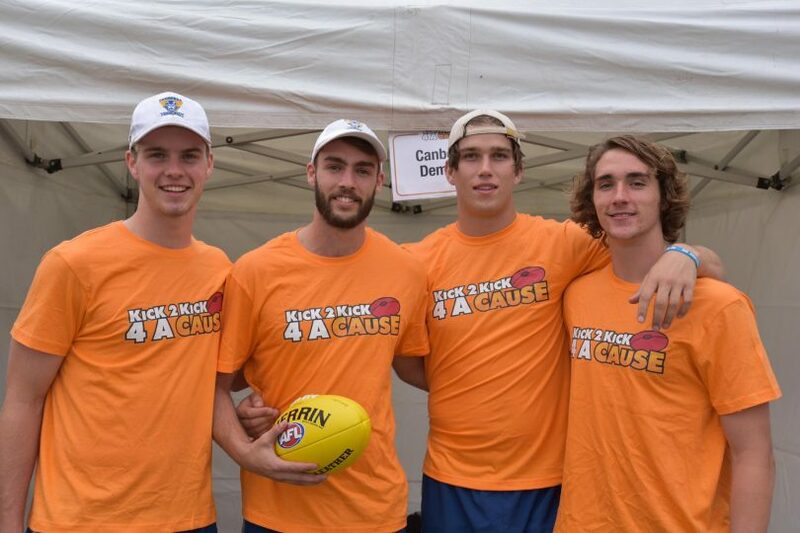 Canberra Demons Issac Taylor, Aaron Bruce and Jarrod Osborne took part in the mental health charity event last weekend. Photos: Supplied by Canberra Demons. It would be fair for Canberra Demons Kade Klemke to say that his proudest moment as the club’s coach was the NEAFL side’s first preliminary finals appearance last season or their breathtaking elimination final win over Sydney University. But the moment that filled the club’s third-year coach with the most pride was the sight of a group of his players dressed in orange kicking the footy to one another in the name of charity. 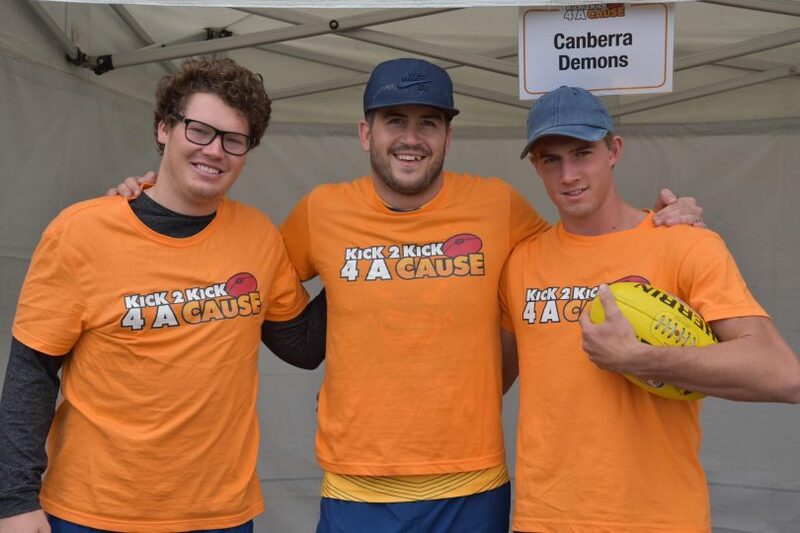 A strong contingent of the Canberra Demons side, led by captain Aaron Bruce, participated in the Kick 2 Kick 4 A Cause charity event last weekend, raising over $5,800 for Menslink. Klemke said he played no part in organising the team’s contribution. Instead, it was defender Tom Highmore who raised the idea with his teammates. “This just shows the heart of the guys at the club, ” Klemke told Region Media. “I had nothing to do with organising it. It was all the players that did that because they know how mental health is such a big concern at the moment. AFL boss Gillon McLachlan recently declared that mental health was the biggest issue in Aussie rules football, with stars such as Dustin Martin, Jack Steven and Jesse Hogan revealing their mental health battles. Klemke said his close-knit team had addressed the elephant in the footy club and had created a comfortable and open environment for players and staff to share their struggles. “I have found over the years coaching footy how mental health seems to be something that is growing, whether that’s due to guys being more open to speaking out or whether guys are getting more affected by mental health,” he shared. “It is something we do talk about at the footy club. We want guys to be open and honest and not to be afraid to speak up when they are not OK.
“Our guys are really supportive of one another and helping each other out, which is great to see. We have had guys in the past who have had bad weeks and the best thing you can do as a footy club is to get around them and support them.